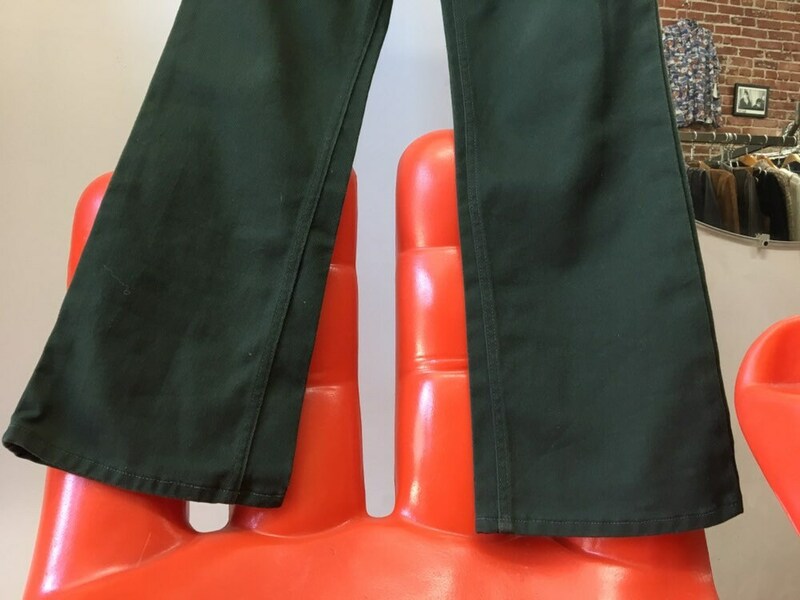 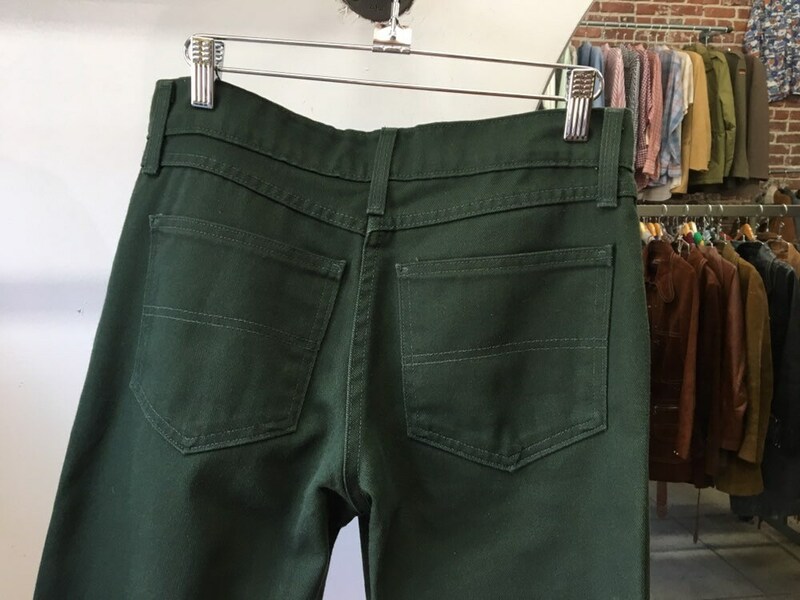 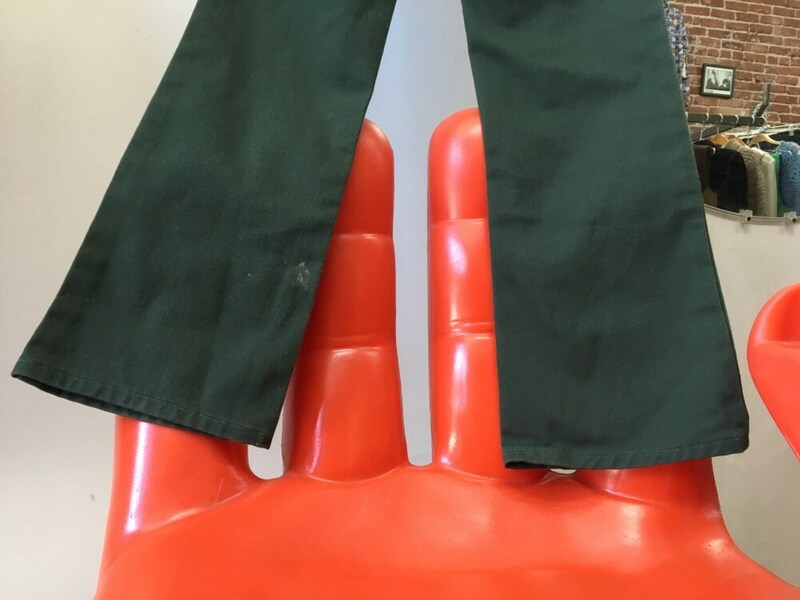 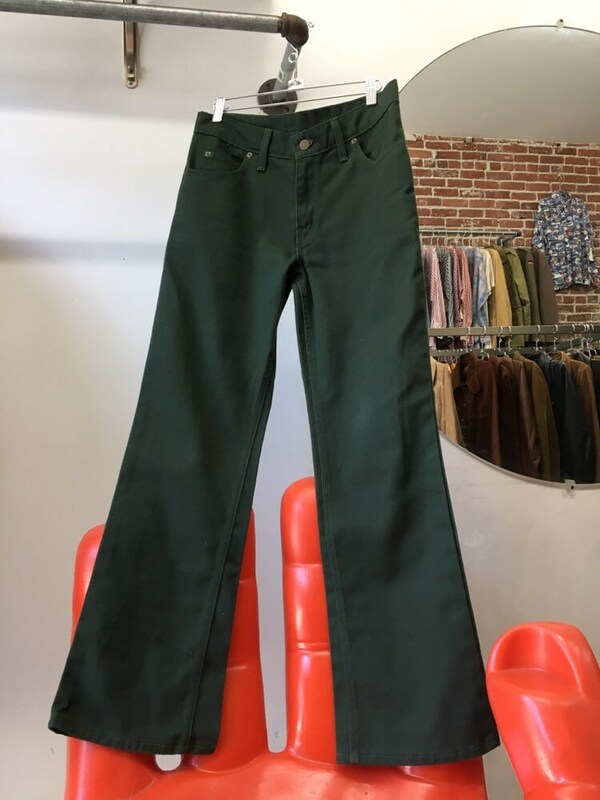 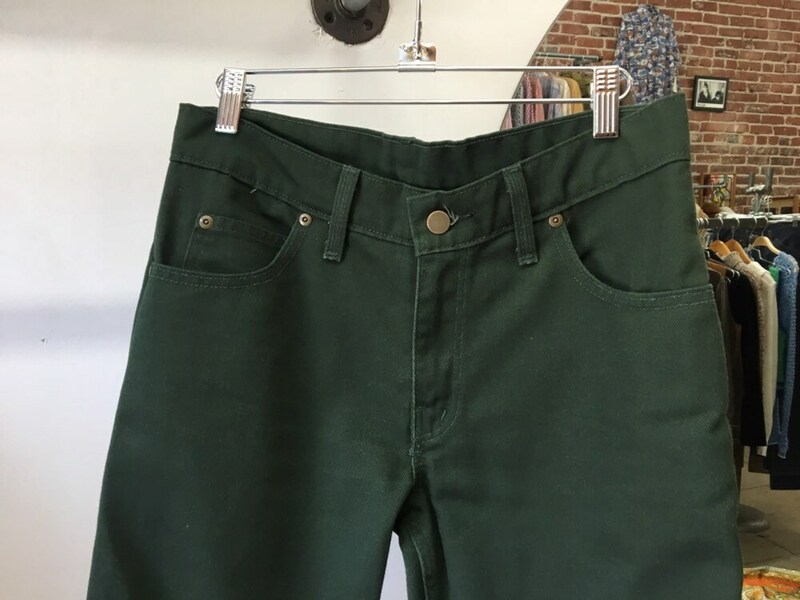 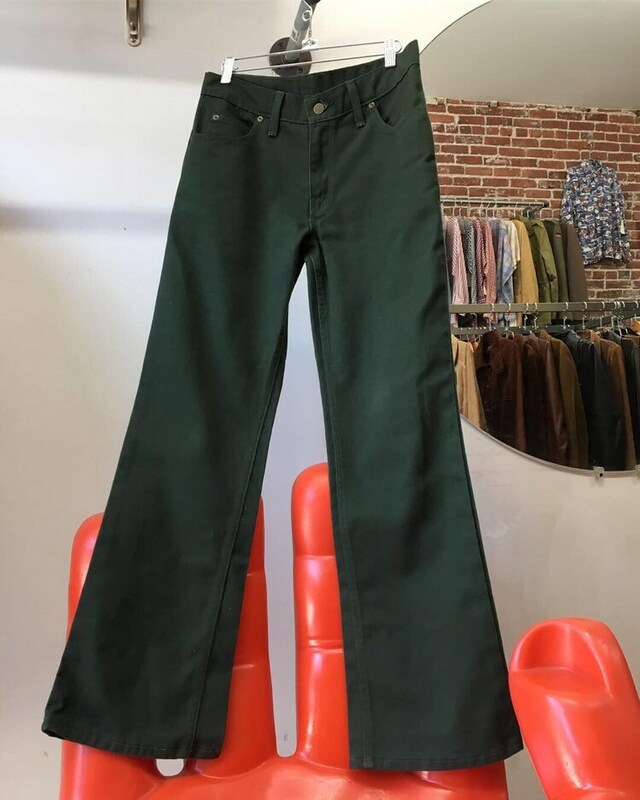 Fantastic men’s seventies green denim jeans. 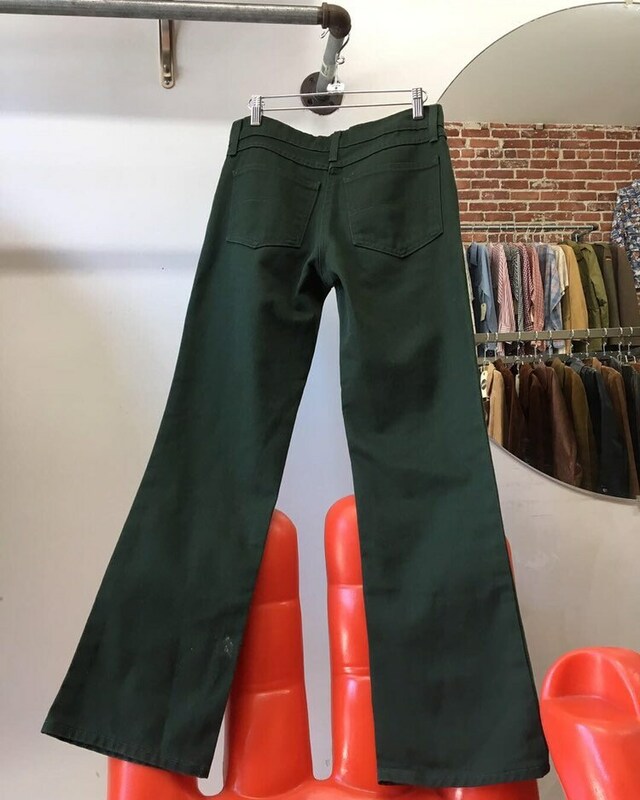 Very slight flare to the cut. 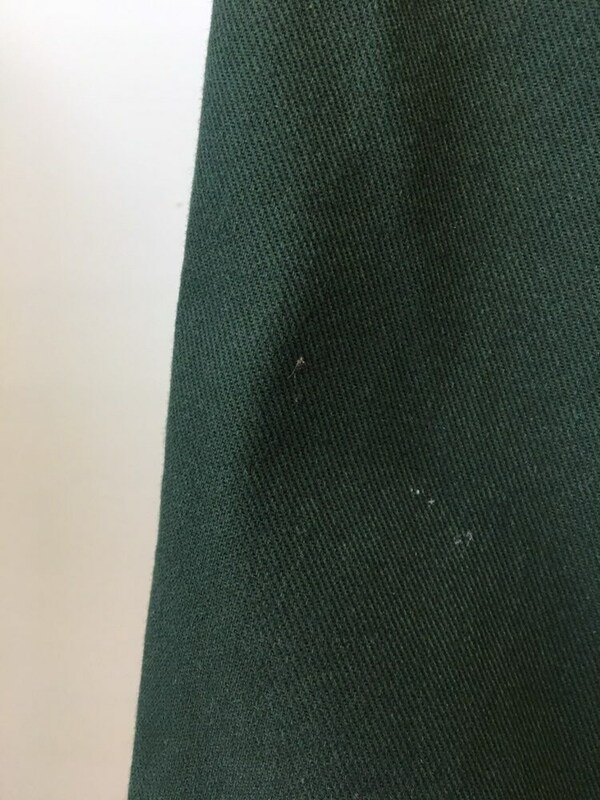 ***there are marks on the back of the left leg near the hem, and tiny marks on the right front leg on the thigh. 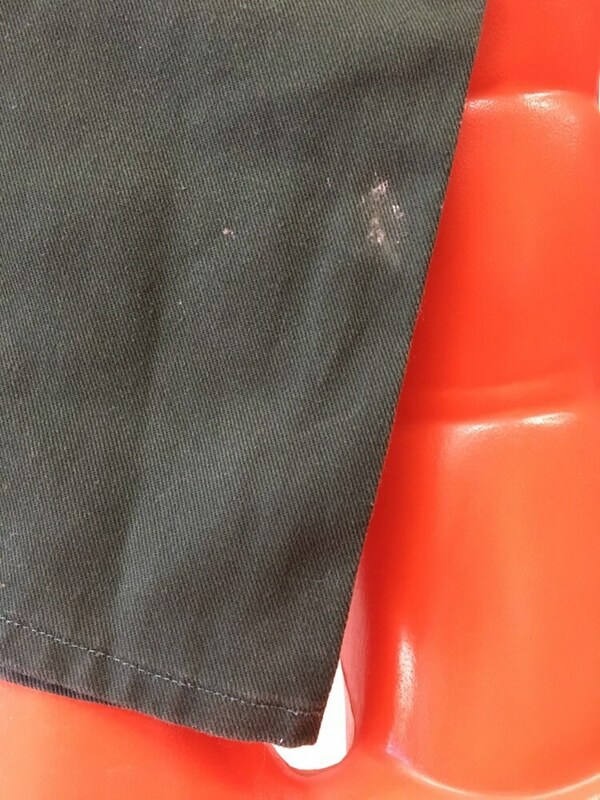 It appears to be paint. 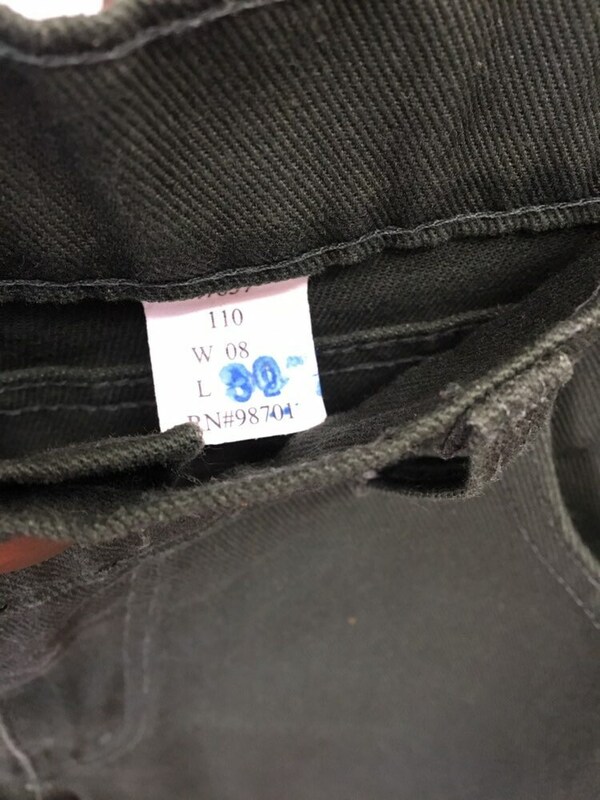 See last two photos.